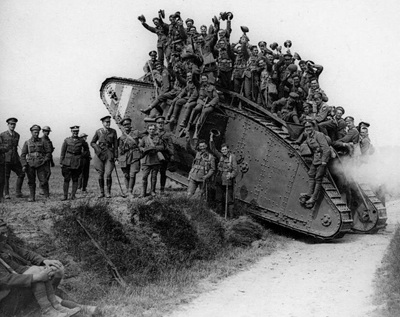 After the Battle of Cambrai, what lessons were learned by both the Allied and German troops? How did the affects of a battle which is seen as a draw influence the last year of the First World War? 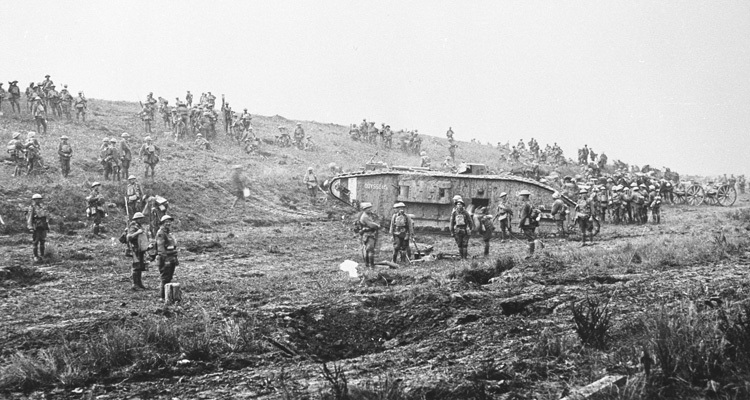 The Battle of Cambrai had few immediate effects on the course of the First World War. Casualties, at 45,000 British killed, wounded or missing against 41,000 Germans, were similar, and although the British had captured territory around Flesqueires, they had been forced to retreat at Gonnelieu. Hypatia was captured by the Germans and later used by them. The Germans were forced to realise that, with the advent of tanks and predicted bombardment, there were now no ‘quiet’ sectors of the front – an attack could come anywhere. The British learned their new techniques and weapons worked, but that they had limitations and it was vitally important to have reserves available to exploit successes. Cambrai didn’t change the wider strategic situation for the Allies. New German units, released from the Eastern Front by the withdrawal of Russia from the war, were being transferred to the West. Britain and France were exhausted after the hard, costly battles of 1917, and the French had still not fully recovered from the mutinies of the summer. American troops had not yet arrived in sufficient numbers, meaning that as 1918 dawned the Germans outnumbered their enemies. It was clear to the Allies that they had no choice but to go onto the defensive over the winter and it was clear to the Germans that, for a short period, they would hold the initiative. In Britain the shock of the German counterattack hit a nation still celebrating the successes of the 20th November. A perception that the Army had not informed its political leadership of the full scale of the counterattack led to a Court of Inquiry being established to determine what had gone wrong. This concluded that a number of factors were to blame, including the strength and surprise of the German attack, the lack of any British doctrine for defensive fighting and poor intelligence of the impending attack. General Byng, who had commanded the battle, put forward another factor – poor training of the soldiers in the front line. Field Marshal Haig, Commander in Chief of the BEF and Byng’s superior, accepted ultimate responsibility for the outcome, arguing that his decision to continue the battle had tired men out who were then unable to resist the Germans. Despite political pressure he kept his job, but the affair weakened his position and further polluted relations between Britain’s political and military leadership. Cambrai as a battle is significant for two main reasons. It saw the first mass use of the tank and their first use as a concentrated, powerful force. Their success on the battlefield was combined with the significant, positive impact they continued to have on public opinion. To the public this was a wholly British weapon that had repeatedly proven itself able to defeat the Germans. 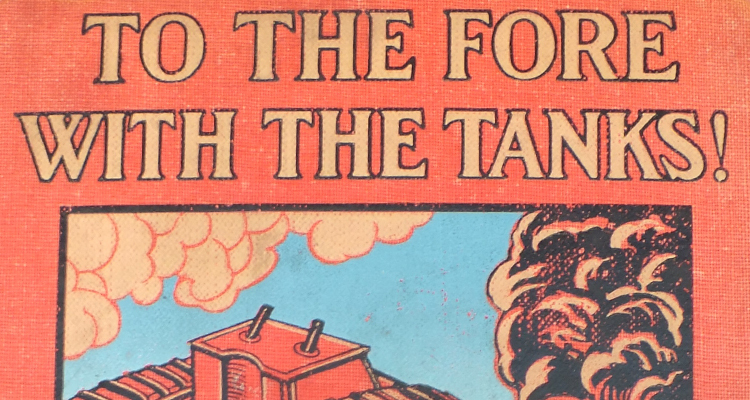 Taken together these factors secured the future of the Tank Corps in the British Army and convinced commanders that it had a vital role to play on the Western Front. 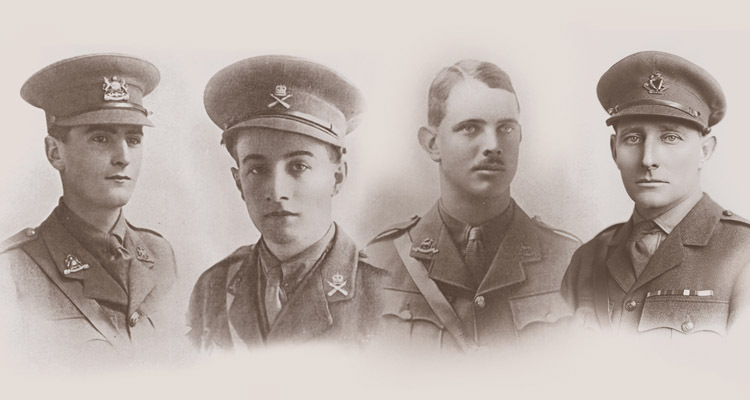 For these reasons Cambrai is still commemorated by the soldiers of the Royal Tank Regiment. 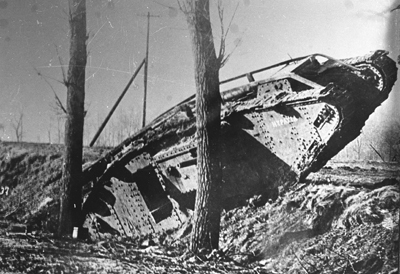 Another aspect of the story of the tank at Cambrai was how the battlefield became the source of much of Germany’s tank force. 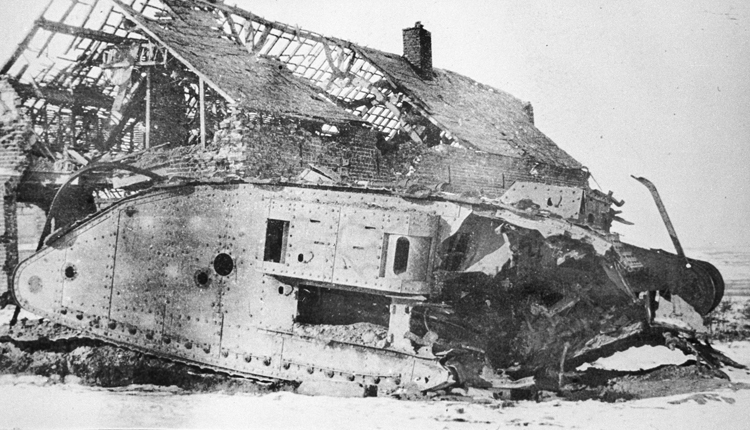 Dozens of abandoned Mark IVs were captured during the counterattack. 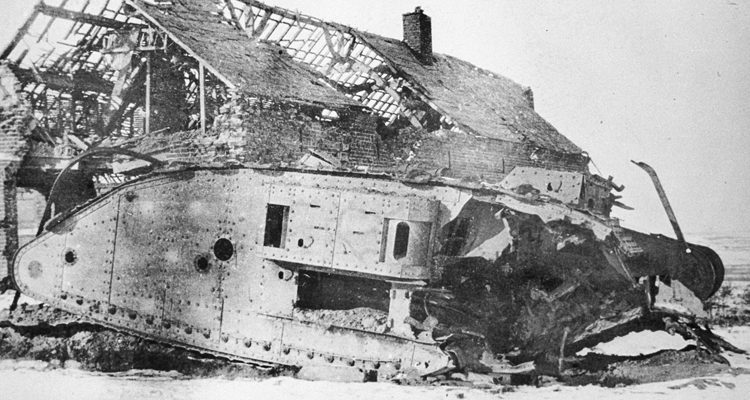 After repairs, around 40 were pressed into German service in 1918. In fact they would use more Mark IVs than their own A7V. The second reason for Cambrai’s significance is the effect the lessons learned from it would have in 1918. The importance of coordination between different arms and services had been shown to dramatic effect. 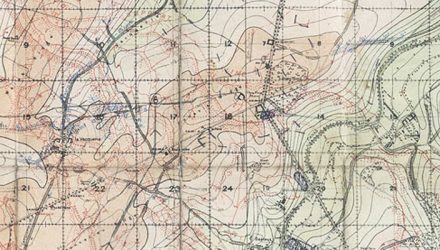 Artillery, infantry, tanks, aircraft, logistics, staff and signals had all worked together as a system to launch a successful attack with complete surprise against strong defences. This system would reach its full potential at Amiens on the 8th August 1918, a battle that began the Hundred Days Offensive, which led to victory for the Allies. 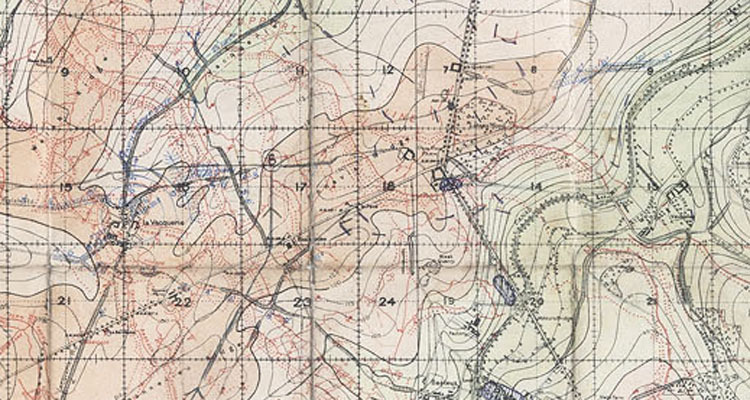 The Hundred Days demonstrated two elements missing at Cambrai – a willingness amongst commanders to shut down a successful attack before it got bogged down, and the resources to quickly launch another in a different area. We’ll continue to look at developments during 1918 on this blog. The Battle of Cambrai was a vital part of the learning process the British Army went through as it became the army that won the First World War. The parts of this sophisticated system were falling into place, but in the winter of 1917, at Bourlon Wood, Flesquieres and Masnieres, they weren’t quite there yet.